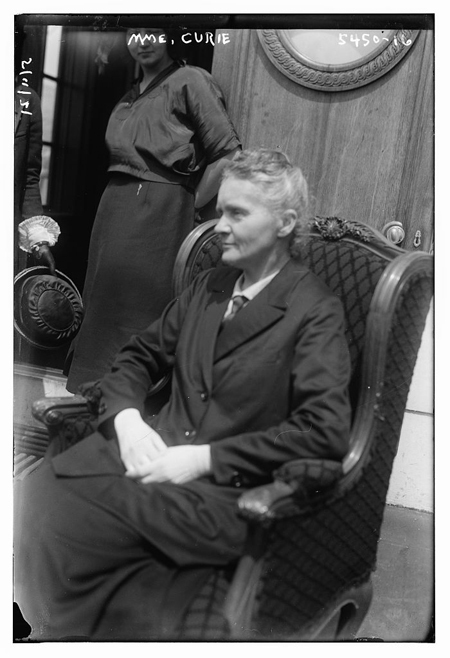 Marie Curie was a brilliant and dedicated scientist who coined the term radioactivity. Her husband Pierre, also a scientist, was so excited about her research that he put his work on hold to help her make quicker progress on hers. In 1898 they discovered two new elements which they named polonium and radium. The Curies went won the 1903 Nobel Prize in Physics (shared with Henri Becquerel whose work they had built on) and Marie won the 1911 Nobel Prize in Chemistry.